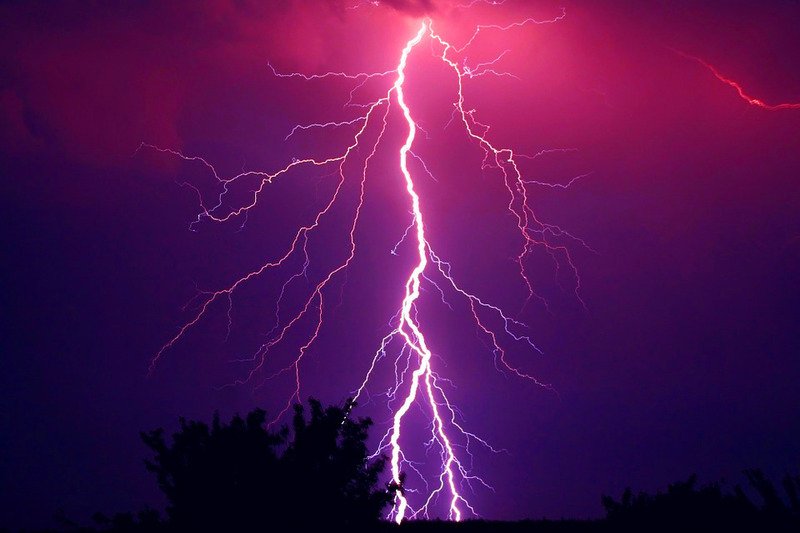 Thunder and lightning storms have been a part of planet earth for 100’s of millions of years. Storms such as these increase the level of nitrogen in the air. Ever notice how wide awake or alert you feel right before and during an electrical storm? Thank the nitrogen! That nitrogen then falls to earth to nourish growing plants below. Lightning sparks wildfires that provide lush soil for the rebirth of a forest. This is all part of the grand scheme of it all. As temperatures warm during spring the chances of thunder and lightning storms increase dramatically. Many dogs develop an irrational fear of storms. It is not just dogs that suffer. Young children can become fearful of such storms (astraphobia) and cry out for their parents thinking that the storm is going to hurt them or come and get them. Fears like these are irrational but they are REAL. Some of this behavior may be hard wired into all mammals. The reason for this is that lightning can cause damage to humans and other mammals. Regardless of the species, lightning can burn down a home and excessive rain can cause flooding and loss of life from drowning. So in a sense, those fears are rational. It is how the fear of storms is controlled or handled that is important. WHAT ARE THE STORM TRIGGERS? It is impossible to choose which dog or dogs will develop a fear of storms in the first place. Even litter-mates raised in the same home are all different. One of them may be affected yet others in that same litter are oblivious to any storm that passes by! Cats are never affected by storms. I never had to treat a storm phobia in a cat in my 33 years of practice. Cats just don’t seem to care and just go back to sleeping their usual 23 hours of the day. Dogs that seem to be prone to a fear of storms are breeds that are high strung in the first place. Irish Setters, many terriers, Poodles, Chihuahuas and herding breeds are in that category. Much of animal life can sense changes in the environment way before humans can. Changes in static electricity and barometric pressure can trigger such fears in dogs. Wind speed and even the sound of wind can trigger a fear of storms in animals. It is possible that pets can feel of the vibration of thunder from storms that are miles away from their homes. Fear of storms can begin at an early age. The sooner it can be nipped in the bud the better is will be for the animal. As the dog becomes conditioned to the perception that thunder and lightning storms can harm it, increases the chances of real damage or injury to the animal. I once treated an Irish Setter for multiple lacerations after it jumped through a large plate glass window in an owner’s family room during a storm. Dogs that are FORCED into places they do not want to be in during a storm can tear up their paws trying to get out of the location. In the process they can destroy drywall and other personal property. When dogs panic one of the most common responses to that fear of storms is running away. In a sense they feel that they can outrun or get away from the storm that is approaching. Truth is, is that many dogs become lost during storms. Lost pets can lead to multiple heartaches. Make sure you have some form of identification on the pet. The best bet is an implanted microchip. When dogs run away and are terrified they often get hit by cars as they attempt crossing a road. Trying to control any fear in an animal is difficult. Dogs can not talk back to you and express those fears to you like a young child can. Animals can pick up on your tone of voice and that tone can make things even worse. When an animal slithers to you shaking like a leaf and decides to “hide” from the storm do not employ “baby talk” or encourage clingy behavior. It is natural to want to pick up and console the dog but it will just make the animal’s response even worse. Like people, all animals are individuals. One type of behavior control may work for one animal but not another. Try some of the suggestions below and see if any of them help your dog. I am curious if any readers have any other suggestions so please take the time to add your comments below that may help others with the same problem. Distract the animal- If a storm is approaching and your pet is showing signs of distress try to distract the animal by playing with one of his favorite toys. Play hide and seek and try to occupy him until the storm passes. Encourage a safe place- Many dogs have favorite places where they like to hide during a storm. This may be a basement or some other room. If your dog walks away from you, follow it. It may want to get somewhere but a door to it is closed. Other pets may find sanctuary in their crate. Done right, crate training can work wonders in these situations. White noise- Try playing some music to match the level of storm noise. Fear of storms may decrease when the thunder and lightning racket is toned down with music. Try putting on talk radio at an appropriate volume. Human voices often calm animals down. This trick also works for treating animals with separation anxietyThis occurs in both humans and animals. A classic case in dogs is when you leave the home and the dog stays behind. That separation breeds anxiety in the dog. That anxiety can be expressed in ways that can be injurious to the animal. Behavioral training with or without pharmaceutical intervention usually works..
Special garments- Companies have created several types of clothing or metal lined capes that are supposed to alleviate a dogs fear of storms. Are they placebos or are they for real? The verdict is out but they may be worth a try. The most popular are Thundershirt® and Stormdefender®. Medical therapy- There are times where an animal is so anxious that nothing seems to work. It is best to consult your veterinarian so that a physical exam can be performed. Veterinarians will often prescribe acepromazine (a phenothiazine tranquilizer similar to Thorazine®), Valium® or a tricyclic antidepressant such as Clomicalm®. The latter is used to treat separation anxiety in dogs. The big problem with drug therapy is that it is impossible to predict when storms are going to pass by your area. That is just the nature of summer storms. Most of these drugs take from 2-3 hours to take effect so timing the dose is next to impossible. 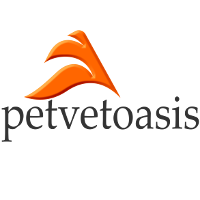 A behavioral specialist- There are veterinarians that are board certified in veterinary behavior. Try to look for one in your area by contacting the American College of Veterinary Behaviorists.